Aya Senior Village Apartments were built under the US Department of Housing and Urban Development (HUD) PRAC Program and are sponsored by Southfair Community Development Corporation of Dallas, Texas. 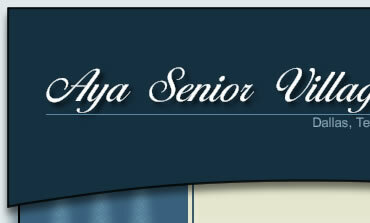 Aya Senior Village is designed for seniors 62 years of age and older and rent is based on income. Our lovely facility offers three stories of senior living with elevators for easy access to all floors. Floor Plans include one bedroom apartments with emergency call buttons in each unit. We offer numerous amenities and a wide range of services specifically designed for your special needs. You will find an experienced staff courteous and eager to please and 24 hour emergency maintenance for peace of mind. Call (214) 421-3665 for additional information or feel free to come by during regular office hours for a friendly tour.